The GameCube's graphics capability is potentially better than the PlayStation 2 or the Xbox, and it features a chip by ATI. The main drawback is that the system has no HDTV support. Although the GameCube was somewhat ahead of its time by including a "digital out" port at launch, the cable was not sold in any stores (except Lik-Sang and Nintendo's own store, which is backordered—Lik-Sang isn't). Because the ridiculously expensive cable (at least $30 + S/H) was not sold in stores, and for reasons unknown to me no third-party component cables ever surfaced, few games took advantage of the GameCube's progressive scan feature. 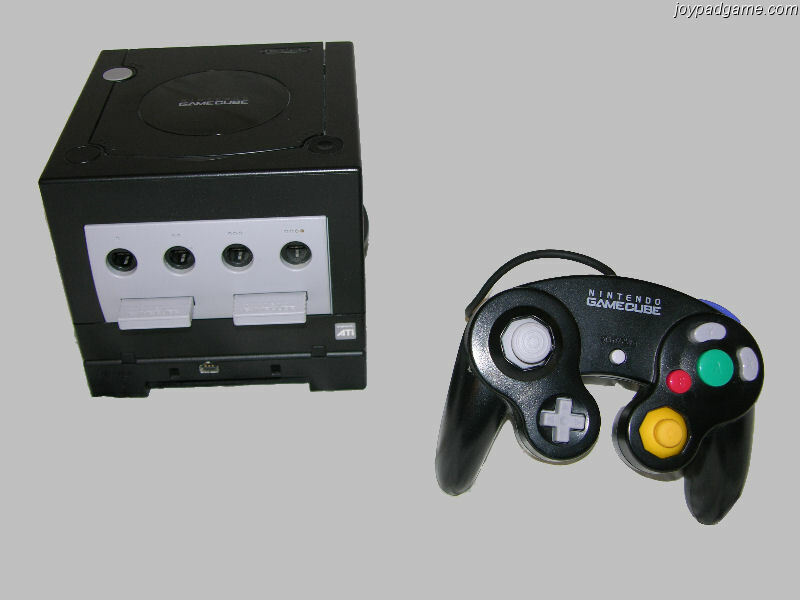 Progressive scan (480p), furthermore, was the highest resolution the GameCube could output through component video, not HDTV (1080i) resolution. 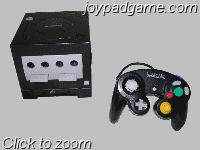 Given all of these problems with the GameCube's component video support, it was removed from the second-generation (DOL-101) GameCube. Nintendo claims that they removed component video support because less than one percent of GameCube owners used it. Nintendo obviously did not understand the causal relationship between making the cable expensive and hard to find, limiting the resolution to 480p, and few games supporting it, and the resulting low adoption rate; so they instead assumed that gamers just do not like to play in High Definition. 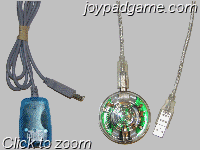 Meanwhile component cables for PS2/Xbox can be found in any store for less than $20, support 480p, 720p, and 1080i resolutions, and are better supported. Sony and Microsoft are making HDTV a standard feature of their next-generation systems. The Nintendo Revolution, meanwhile, will be low definition and only low definition. Current reports say it will not even have a component video cable, which offers picture benefits even to 480i low-definition signals. Nintendo's previous crutch was the cartridge format, and their new crutch is apparently going to be that ugly old red, white and yellow composite video cable that they have used for the past ten years. Skillz and Super Joybox 13. There are quite a few choices for GameCube to PC adapters, and all have their own quirks. 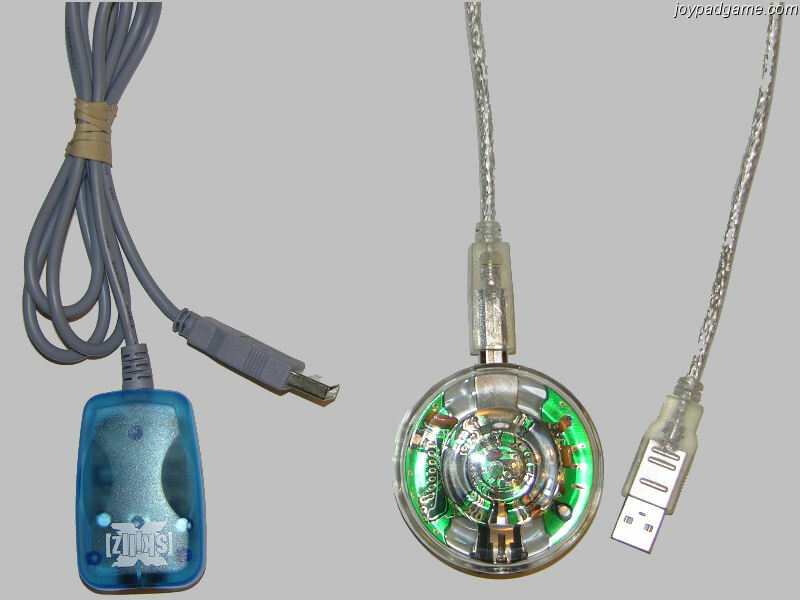 The Skillz adapter is included for the sake of completeness, but it is not recommended because of two major issues: First, the only driver ever released for it has faulty force feedback code, so no rumble effects will ever work with it, and second, some Skillz adapters have an issue with certain versions of controllers. The problem has proven very hard to test and reproduce, so between these two issues and also an axis problem, it is not recommended. If you do have a Skillz, download the Skillz axis patch. The Super Joybox 13 has working force feedback, and no reported issues with compatibility (except the Wavebird, which is still not working on any adapter). It also has an axis problem, download the SJ13 axis patch to correct the mappings. However the behavior is still wrong and the axes are inverted (that cannot be fixed unless your game software lets you change it). The Trio Linkers (regular and Plus) are both the same for GameCube use; they support controllers and the DK Bongos controller. I do not have that controller so I do not know how it is implemented or whether the SJ13 supports it. The Trio Linker does not support the pressure-sensitive L and R triggers. Drivers for all these adapters are available on the links page. Neat Tricks The GameCube's most significant Neat Trick is the Game Boy Player accessory Nintendo released in 2003. It plugs into the bottom of the system (see above) and has a cartridge slot. To play, you must insert the Game Boy Player startup disc (which, regrettably, comes in an ugly white case, not a regular DVD case that fits with GameCube games). The Game Boy Player is compatible with Game Boy Advance, Game Boy Color and standard Game Boy games, but it unfortunately does not support any Super Game Boy features at all. The Game Boy Player has a few borders built in, like the Super Game Boy, but they cannot be customized by the game. 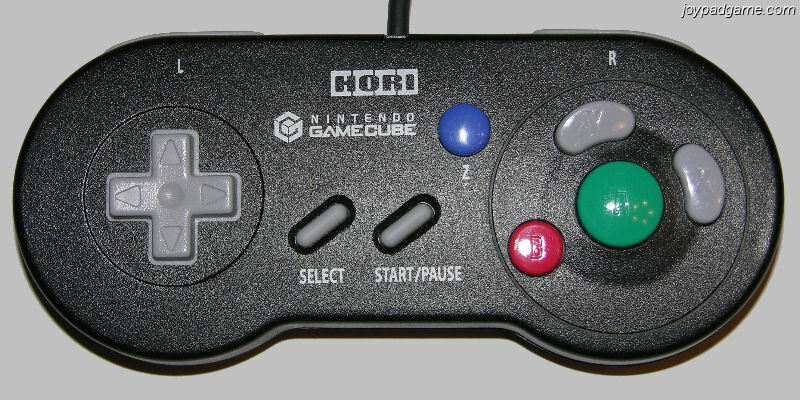 An interesting accessory released by Hori, called the Hori Digital Controller, was released specifically for use with the Game Boy Player. It is designed very similar to the SNES controller, but still has the GameCube style face buttons. The Select button maps to Y so you can feel like you have a real Select button. It is possible to use this controller in games that do not require use of any analog sticks, and some fighting game players swear by it. The Panasonic Q is a special version of the GameCube, released only in Japan, that is basically the GameCube integrated into a DVD player. It's become a collector's item, and Lik-Sang's stock is totally out. This may only be available on eBay. There is a project to enable Linux (and a few emulators that run in Linux) to work on the GameCube. It requires a significant amount of work to set up, and either Phantasy Star Online, an Action Replay, or a special development kit sold by Datel. Check out GC-Linux.org and gcdev.com for details.